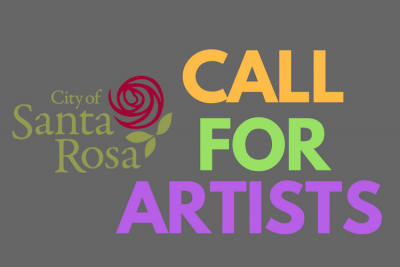 This opportunity is for artists, or artist teams to create and install temporary art installations addressing the 2017 Northern California Wildfires. In proximity to the one-year anniversary of the wildfires, this funding is to support artists to produce and present community-based projects in response to the fires that activate public spaces. Projects must be temporary installations that are in public places or within public view for as little as one day or up to 3 months. This is the first round of this opportunity and includes a fast-paced timeline to allow for projects around the first anniversary of the fires. Round Two will be published next year and will include more lead time for additional projects. Artists who receive funding for a project in Round One are NOT eligible for funding in Round Two. This public art opportunity is open to artists, or artist teams residing in California. Applicants may not submit more than one application, and/or may not be listed as lead artist for more than one application. Artists working in a variety of permanent and temporary media are encouraged to apply. Projects must be located in public places or within public view within the City of Santa Rosa. Site-specific installations are encouraged, where the artist takes the location into account while planning and creating the artwork. Possible sites include parks, public plazas or interior public spaces. It is the applicant’s responsibility to ask for advice and pursue approval processes. Final placement and installation is subject to property owner and/or City approval. Applicants may request up to $4,000. This should be inclusive of artist fees, and all expenses related to design development, including engineering, fabrication, transportation and installation of the artwork, insurance, and all other project related expenses.